Dr. Lynn Johnson organized The Brief Therapy Center in 1984, and made it an internationally known center for research and training in solution-focused treatment. 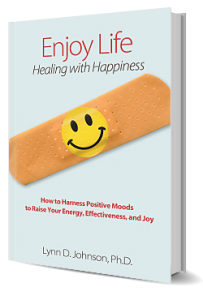 Since then, Lynn has been training therapists, executives, business owners, military officers, and world class athletes to achieve their best through proven solution-focused and positive psychology techniques. 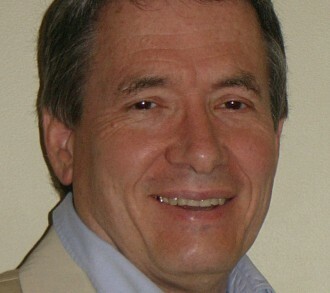 His training and consulting has taken him all over the US and to organizations in Japan, England, Germany, and Spain. Lynn is an adjunct professor teaching in the management department at the University of Utah, and has also taught at the MBA program at Brigham Young University. 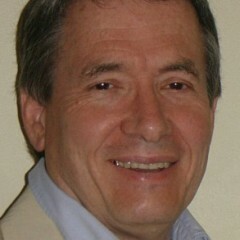 Thousands of enthusiasts have read his books, his free Real Thriving newsletter, his fun-reading blog at drlynnjohnson.com, and will soon be participating in his life changing online course Lifestyles of the Happy and Healthy. Enjoy Life! 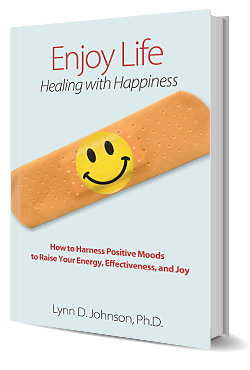 Healing with Happiness takes you on a step-by-step journey toward better health, prosperity, and life-long happiness. I invite you to take that journey with me. Based on solid scientific research, and full of down-to-earth practical examples, we will walk toward a life of fulfillment and joy. If you don’t want to wait for the printed book to arrive, order the ebook and you can download it immediately. 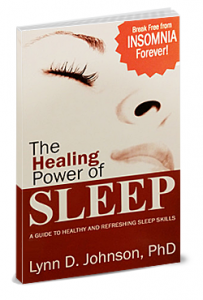 The Healing Power of Sleep is within your grasp! You DON’T have to rely on drugs or anyone else to get the rest you deserve. All it takes is using simple skills that are easily learned (even in the same day!). The Healing Power of SLEEP gives you 12 tools to use that will help you get deep, refreshing sleep NOW.